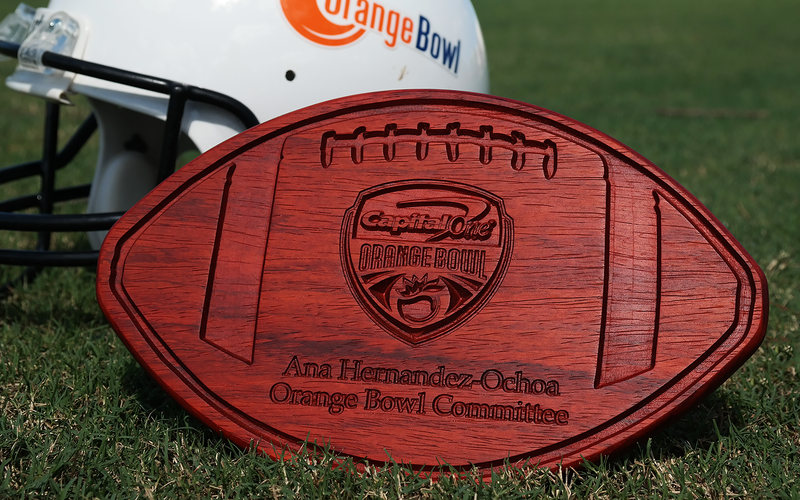 We are proud to have made these specialty displays for the 2016 & 2017 Orange Bowl Championships. 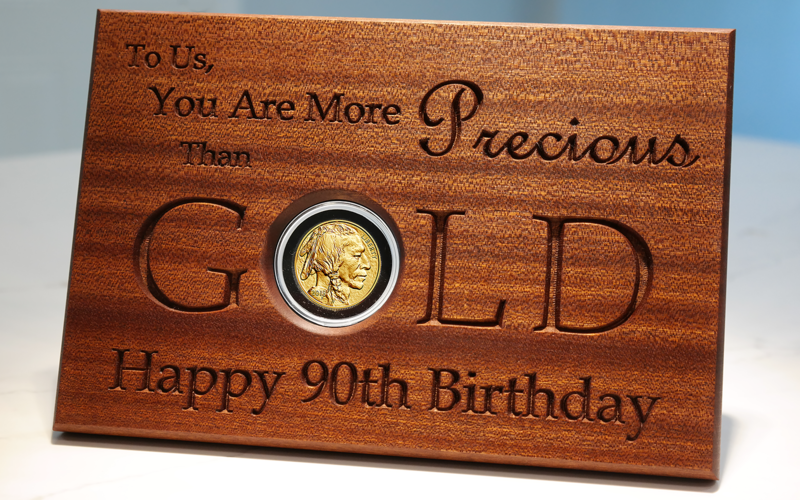 Highlight that special occasion or milestone with a unique gift made of quality exotic woods and personalize it with your heartfelt message. Let us get creative and create that unique and one-of-a-kind corporate gift for your next event. 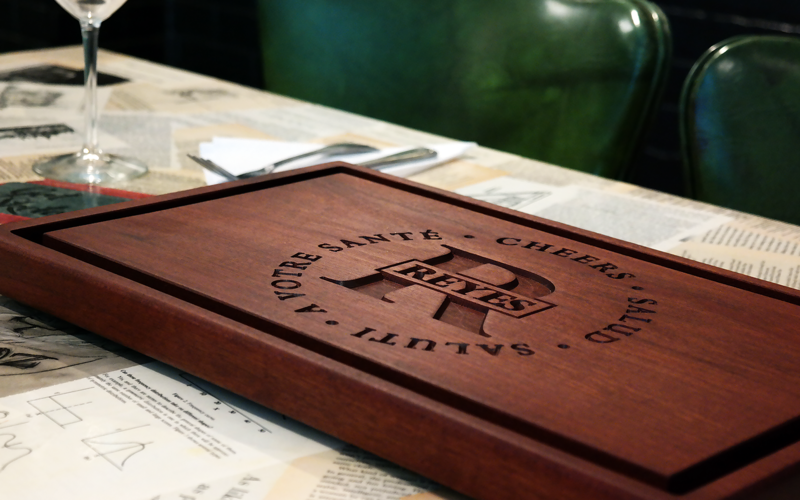 This personalized platter is made of natural Sapele wood. It is engraved with “Cheers” in four different languages along with your business name or last name and initial. Proud to be made in Miami, Lombardi’s Woodworking has been creating awards and personalized gifts for more than 15 years. Shopping for awards and gifts can be challenging, and that’s where custom products stand out. Lombardi’s Woodworking turns the natural beauty of exotic woods into unique and memorable gifts. 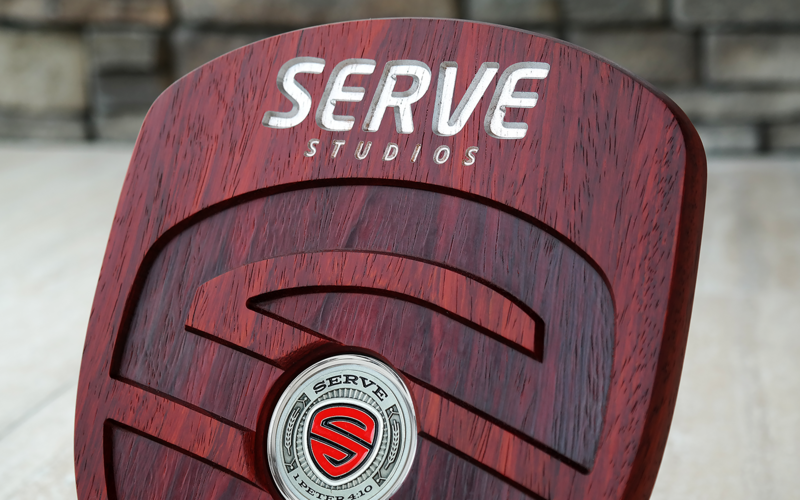 We offer custom engraved award displays perfect for corporate events, recognizing years of service as well as specialty products such as platters and trays; all of which can be engraved with company logos, personalized messages and much more. We can help create something special for your organization. For a gift that promises to please, contact us today.